This very easy scraf is accessible for beginners. 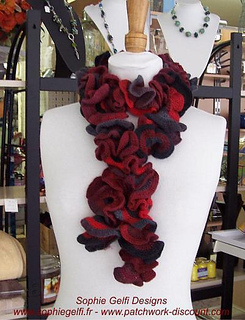 This one was made with a variegated sock yarn but you can also use plain color yarn and change at each row. 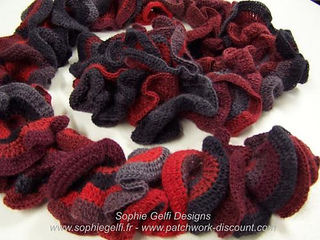 A very nice result can also be obtain using a different yarn texture for the last row as angora or mohair. Pattern includes diagram and written instructions.